May has come and (almost) gone and we've seen the departure of the beloved Rhode Island arm of our family as they head back home. In a few weeks they'll be back for the boys' birthday but for now it is back to just our nuclear family. Before leaving we had a photo shoot courtesy of the great Katie Kuropas, who did a great job of capturing us in front of a house with better landscaping than our own. Upon returning home Auntie Pat and Debbie gave the boys some presents including these Ninja Turtle costumes. They were put to instant use in punishing Uncle Dave who filled in as a makeshift Shredder and took all the abuse deserved by the evil ninja master. Josie also received more gifts including these Lolly and Cholly dolls that belonged to my cousin Samantha. They were an instant hit, even moreso with the boys who added them to the collection of toys they'd already pilfered from her birthday loot. 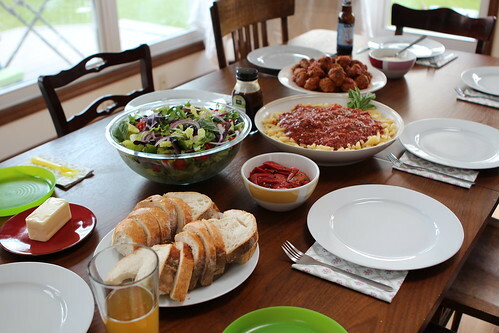 Auntie Pat made a big farewell dinner with pasta, meatballs, and gravy made from tomatoes from last year's harvest in the freezer. 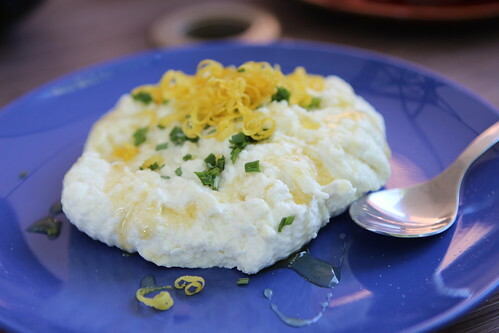 We also learned why our family never grew up calling it gravy, an Italian tradition we somehow avoided. The following day we said goodbye to Nana and Grandpa, returning in about 5 weeks time now for the boys' birthday. Afterwards we took the kids to the arboretum for a fun-filled, frog-finding adventure. After, Martin took an unprecedented voluntary nap in a very uncomfortable position and one we could not wake him from. On Mother's Day we had an enjoying evening at the house and enjoyed the beautiful weather. We also planned out our summer road trip and I showed the boys all the places we were going to go. The new drums continue to be a big hit in the studio and so far the boys have gotten more use out of them than I have. 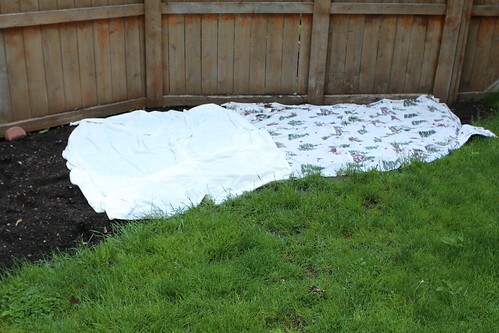 A very late cold spell brought frost and made it so we had to use every bed sheet and beach towel we own to protect all of our plants. 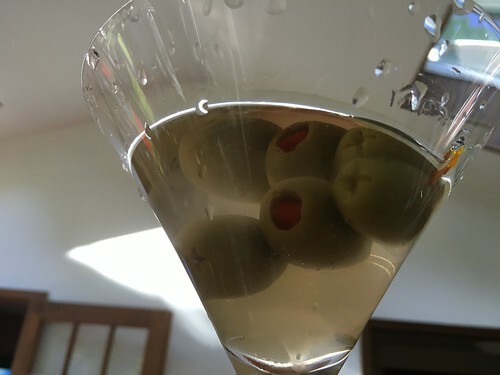 I came home from work one night with a strange craving for martinis. In the past month I've had three martinis which doubles the amount of martinis I've had in my entire life. It makes me the perfect 1950s dad that I have a martini after work some nights now. The only difference is that I am not greeted at the door with it by my wife while she puts all the children to bed and I smoke a pipe. Men in the 1950s had it made. Except for the whole dying incredibly young thing. 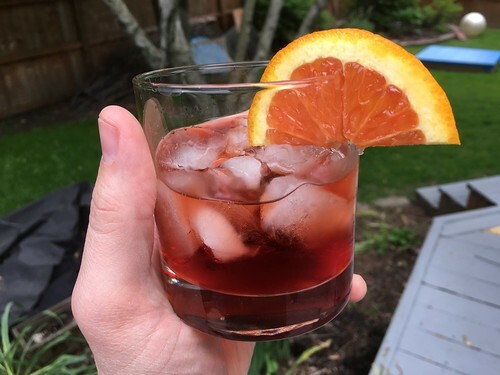 I even tried my hand at negronis, a delicious before dinner drink and something, it turns out, that Uncle Doug does not care for in the least. On a rainy day Jen did science experiments with the boys and they recorded their findings. In this experiment they smelled different smells and wrote down what they thought they smelled like. Josephine has quite quickly learned how to climb the stairs, and just about anything. We have been extra diligent about making sure the gate is closed but still there have been a few breakaways we were not able to contain. With the warmer days Jen's insatiable desire to make and consume popsicles has been passed down to her sons. A long summer of half-eaten frozen treats and stained clothing awaits us! Josephine has also discovered a true passion for Play-Doh. Elliott has taken to sleeping with my Raggedy Andy doll which he refers to as "The Daddy Owl" for reasons unknown. The boys came home from school asking a lot of questions about The Mighty Morphin' Power Rangers, questions I could not answer, having never watched the show. Finally I just put it on and they are hooked. We continued to feed their Ninja Turtle obsession by taking them to the turtle-themed day at the Cosley Zoo where they got to choose items from their favorite turtles. Martin, breaking all conventions, went with all Donatello-themed attire. This convinced me he'd have a meltdown later when he realized he'd made a mistake but, thankfully, he has no remorse about his choice. We also wrangled a picnic with all five children at the zoo, only needing to interrupt our lunch ten or twenty times to chase after fleeing children. Grandma got Josephine a water table despite our vocal protests and she loves it. Even when Elliott stands across from her and blasts her in the chest with a fully loaded water cannon. I set up some bar stools at the kitchen counter so the boys could eat breakfast there and they love it. It makes cleanup and serving a whole lot easier for me and it makes it a lot harder for them to wander off. So far the novelty is still fresh so we're hoping this continues to be effective as it wears off. We also had a visit from our good friends Lindsay Ellyn and Taylor Alexander who entertained the boys with music and games. They also dealt with the boys playing along with them on trombone and violin, something most professional musicians do not tolerate. Josephine was exceptionally sick for about 10 or 14 days. She had a high temperature of 104+ degrees and all of a sudden it broke, she got a small rash, then she was back to normal. It was a rough couple of weeks though. Lindsay and Taylor's visit night she had the worst night of sleep ever. It ended with me taking her for a walk at 5:00 AM to get her to sleep and then feeling like a truck hit me all day long. The next night she was fidgety and refusing to sleep and we were in the depth of despair like we would never sleep again. Then she slept through the night. Then she slept through the next four nights. While she's been waking up on the early side there is nothing that can take away the joy from having more than two uninterrupted hours of sleep nightly. I'm not getting cocky but I'm pretty excited as to what this could mean for the future. 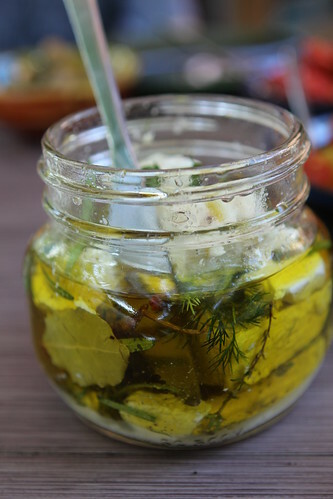 Jen entered the cheese making stage in her life and has erupted into a frenzy of homemade ricotta and marinated feta. I'm hoping this stage of her life never ends. We took the boys on a surprise trip to Cantigny, an outdoor park of sorts that houses U.S. Army tanks and beautiful gardens. Most of our trip was spent climbing up the former and now the boys are obsessed with tanks. Josie did less climbing than her brothers but after climbing about a dozen tanks and getting out of there with no injuries for the entire family I consider that a pretty good close to Memorial Day weekend. Now we merely need to figure out how to keep an eye on Josephine and prevent her from climbing onto the dining room table while also managing her lunatic brothers. Others have seemed to do this in the past so that fills me with optimism.